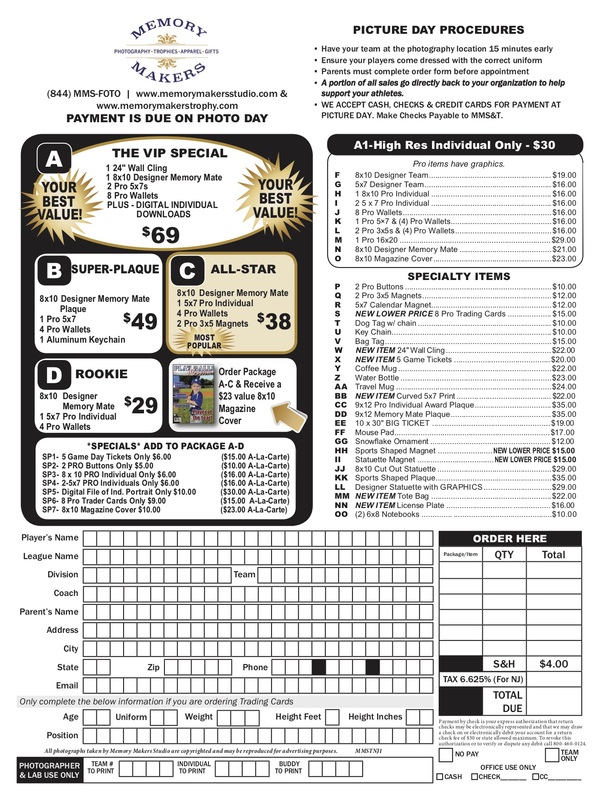 Pleae click on the link below to order pictures for STRA spring sports. Password is STRABB2019.Please include the following information along with the link in your email to the parents. Printable order form can be found HERE. Please arrive at your schedule “CHECK-IN TIME not at your “PICTURE TIME”, in your complete uniform, including cleats. You can put your cleats before the pictures are taken. We start taking players pictures at the scheduled picture time. This year we are moving into the NEXT GENERATION of team & Individual sports photography. We are build virtual team photos, no more lining up for the team photo. We take an individual image for the team and a second image for the traditional player image. Parents please tuck in the shirts & fix anything that is needed before the player has his/her photo taken. No one is allowed behind the photographer or behind the photographer’s lighting setup. If the parent is needed, the photographer or the photographer’s assistant ask for the parent. Team – Is the name of the SPONSOR on the back of the shirt. We also will need the coach/coaches. Please Complete the entire requested Players and Parents info sections on the order form. If ordering “Pro Trader Cards” Letter S or SP6 ADD-ON, please complete the Trading Card Section on the order form. PLEASE PRINTOUT THE ONLINE ORDER FORM AND BRING WITH YOU TO THE CHECK-IN TABLE. $2.00 SAVINGS ON shipping when using the online picture ordering service. ALL ORDERS ARE DIRECTLY SHIPPED TO THE ADDRESS ON THE ORDER FORM ABOUT 3-4 WEEKS AFTER PICTURE DAY. All Players MUST check-in at the check-in table, even if you purchased using the online pre-order service. There will be product display setup at the check-in table. For Payment we take CASH, Checks, and Credit Cards, Including American Express. © Southampton Township Recreation Association. All rights reserved.